As one of Christian musics most celebrated and acclaimed artists, Steven Curtis Chapman has sold over 10 million albums, charted 46 #1 singles, won 5 GRAMMY awards and received 58 Dove Awards. 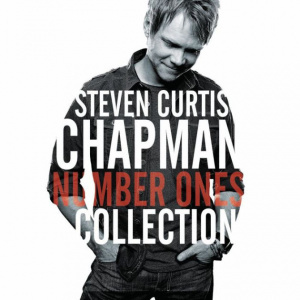 On March 4th, Steven Curtis Chapmans Number Ones Collection will become the largest collection of his #1 songs. With 26 #1 songs, plus the hit Cinderella, Number Ones Collection features #1s Vol. 1 and #1s Vol. 2 in their original packaging in a slip sleeve. With 27 songs for $14.99 this is an amazing collection for new and long time Chapman fans. Steven Curtis Chapman has sold over ten million records including two RIAA certified platinum albums and eight RIAA certified gold albums. Along with his five GRAMMY® awards, Chapman has won an American Music Award, has recorded 46 No. 1 US radio hits and been awarded 58 Dove Awards, more than any other artist to date. He has performed at the White House and has appeared on multiple national programs via CBS, NBC, ABC, CNN, MSNBC, CMT, FOX News, the Hallmark Channel and E!, including Good Morning America, Larry King Live, Fox & Friends, Huckabee,CBS Sunday Morning, The Tonight Show with Jay Leno and more. Chapman and his wife Mary Beth created Show HOPE in 2001 after bringing their first adopted daughter, Shaohannah, home from China. The ministrys goal is to help families reduce the financial barrier of adoption, and has provided grants to more than 2,700 families wishing to adopt orphans from around the world. Number Ones Collection 2CD Box Set by Steven Curtis Chapman was published by Integrity in March 2014 and is our 11426th best seller. The ISBN for Number Ones Collection 2CD Box Set is 0602537522460. Be the first to review Number Ones Collection 2CD Box Set! Got a question? No problem! Just click here to ask us about Number Ones Collection 2CD Box Set. Now Playing: Lord Of The Dance Your browser does not support the audio element.